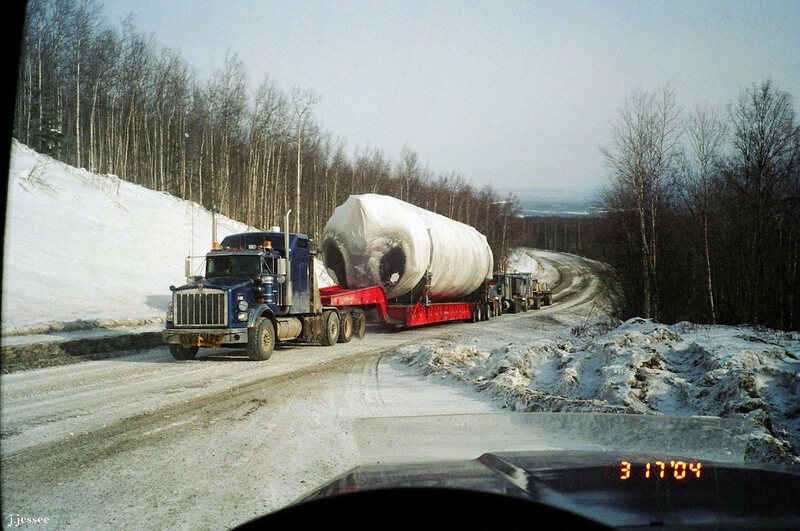 Here’s a gallery of photos of various loads Jack has hauled or encountered in his days of driving the Dalton. Click on the first one and scroll to the right. 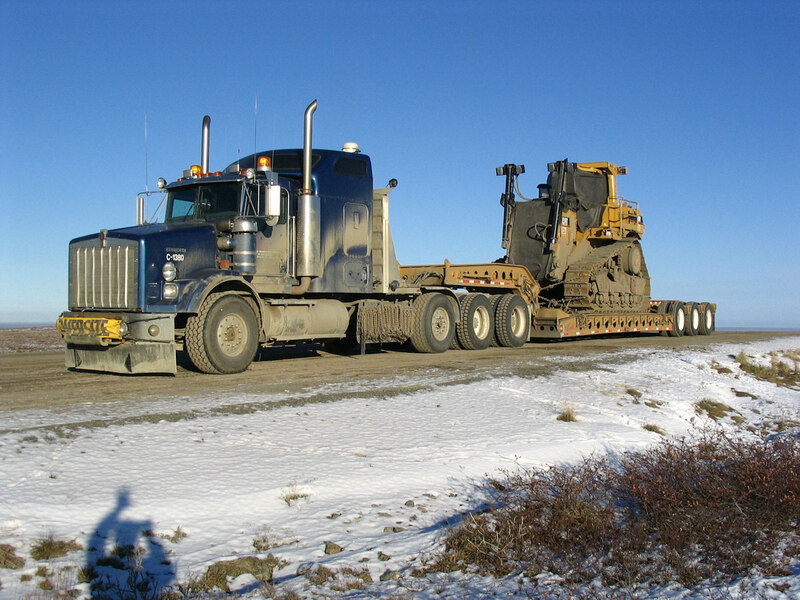 Coming back from Prudhoe with a dozer. 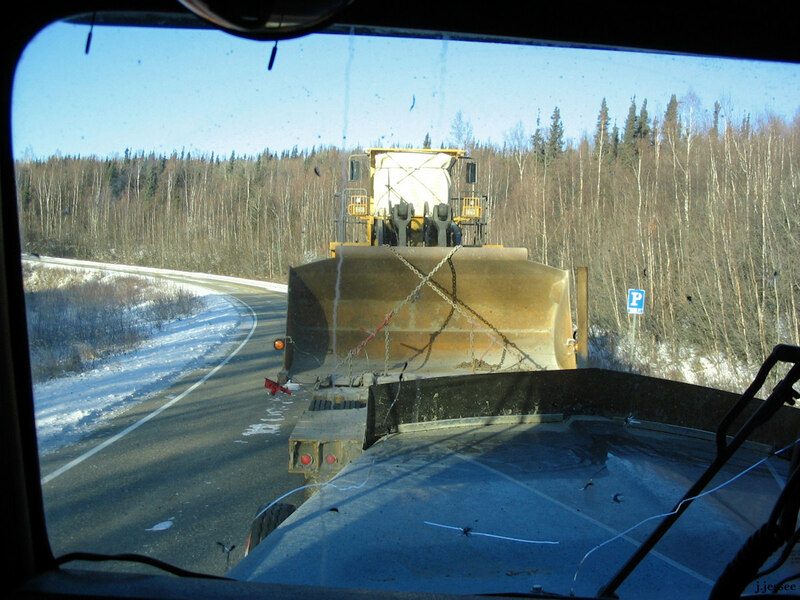 Heading north with a dozer in the summertime, fueling up at Hilltop. Making room for a wide load climbing 3 Mile on the Dalton. 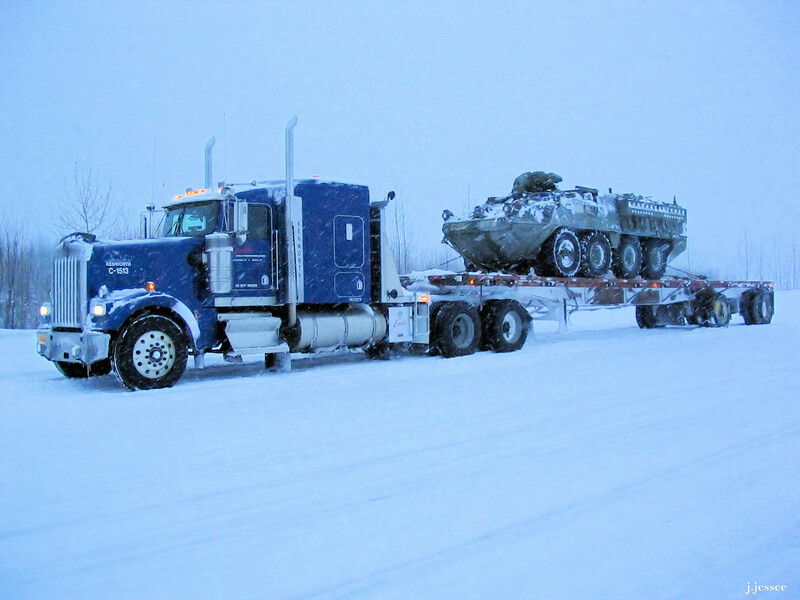 Chained up to start the trip from Hilltop going north (Jack was pushing)..
A Stryker, going to Anchorage. 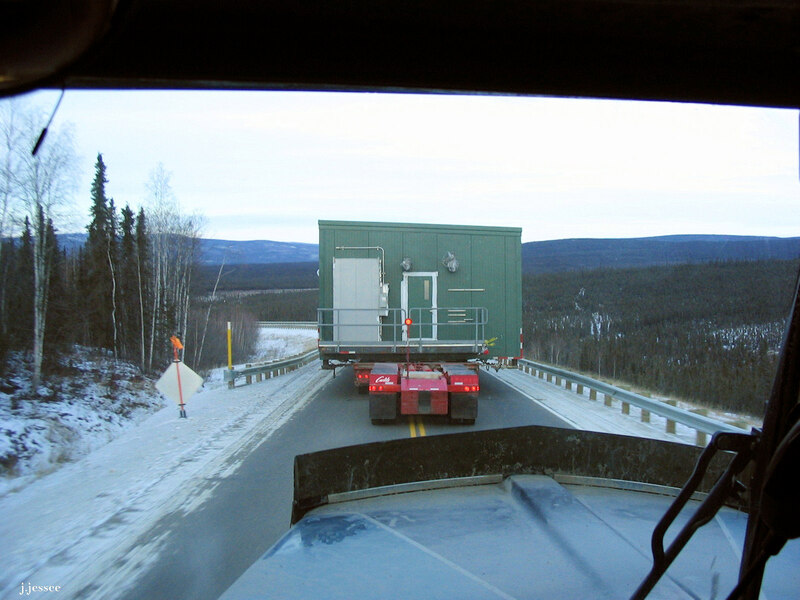 A turbine in a box in Healy, going to Prudhoe. 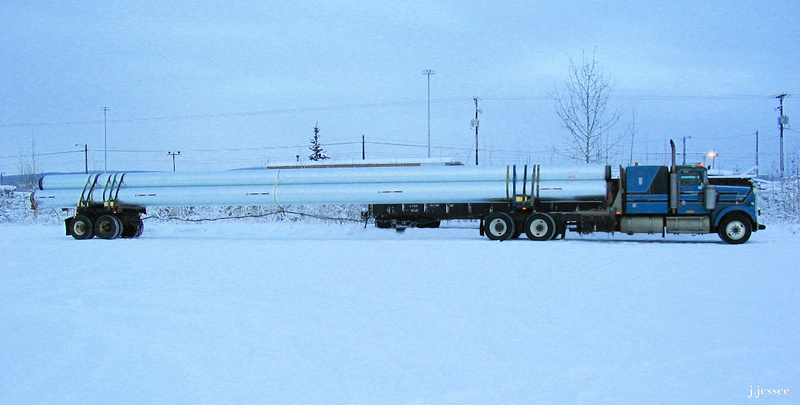 Eighty foot pipe for a pipeline. Who knows what’s in this mod going to Prudhoe. 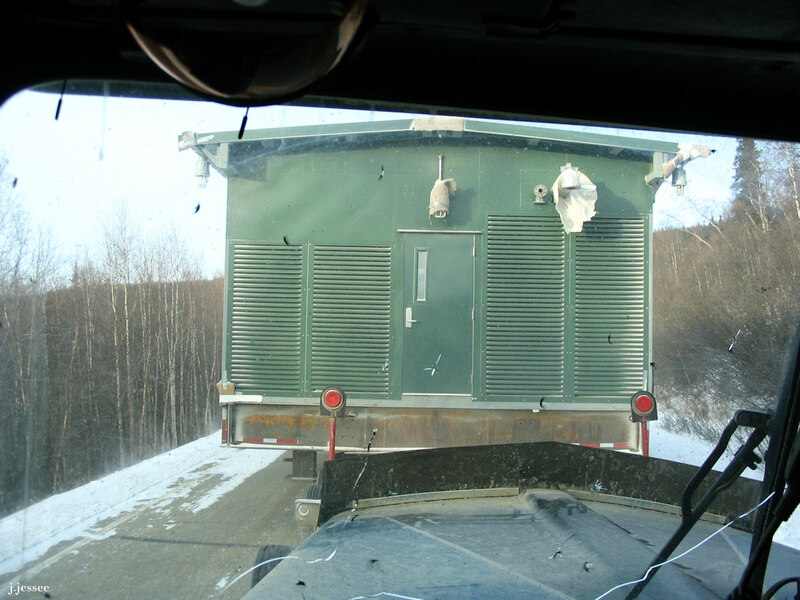 A couple of cooling units in Glennallen after they were barged to Valdez. 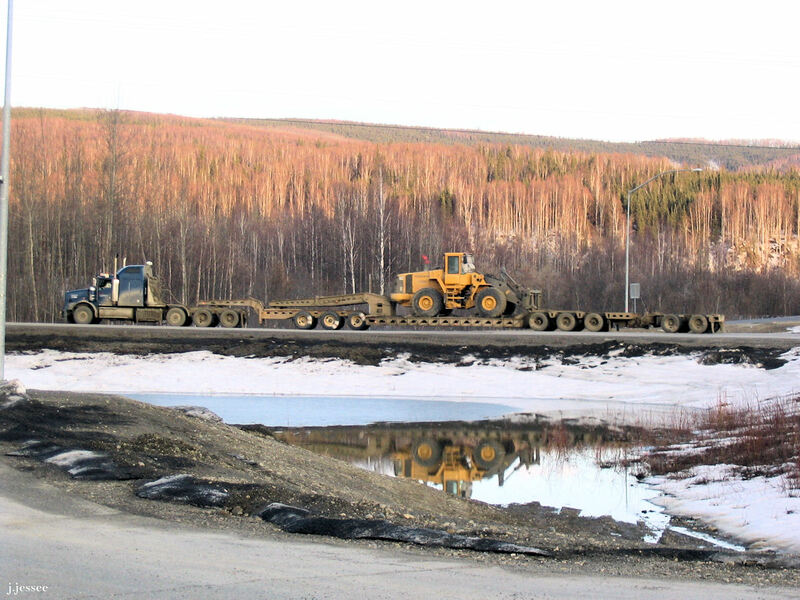 The same kind of load, but turned around and very dirty. 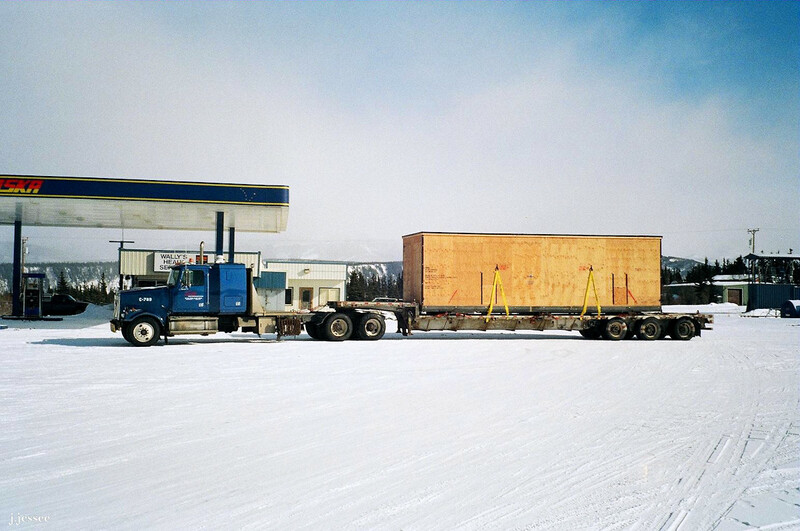 Fueling up in Coldfoot. 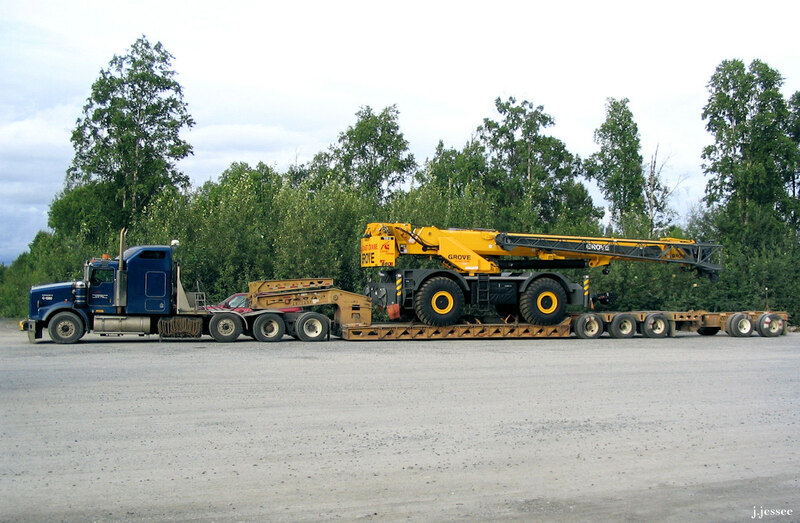 Not a very big loader but weight restrictions during break up resulted in this long trailer. 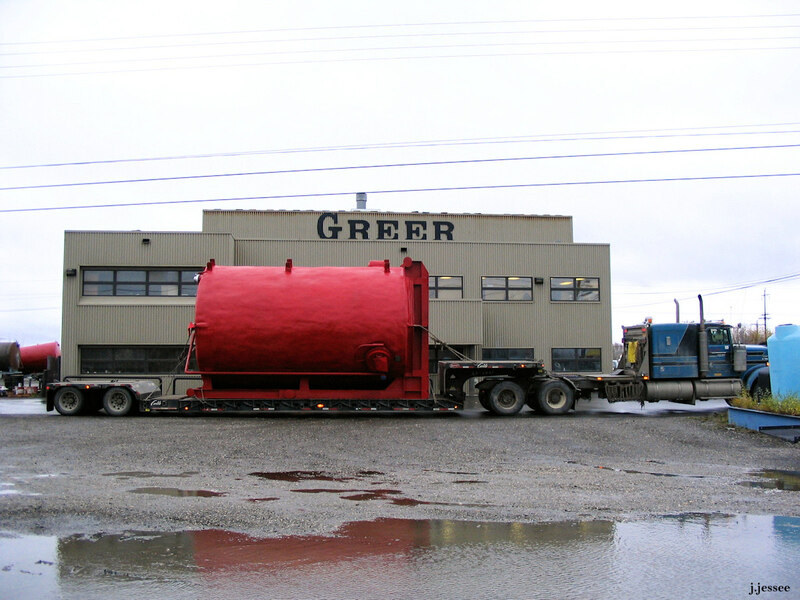 An insulated tank from Greer Welding. 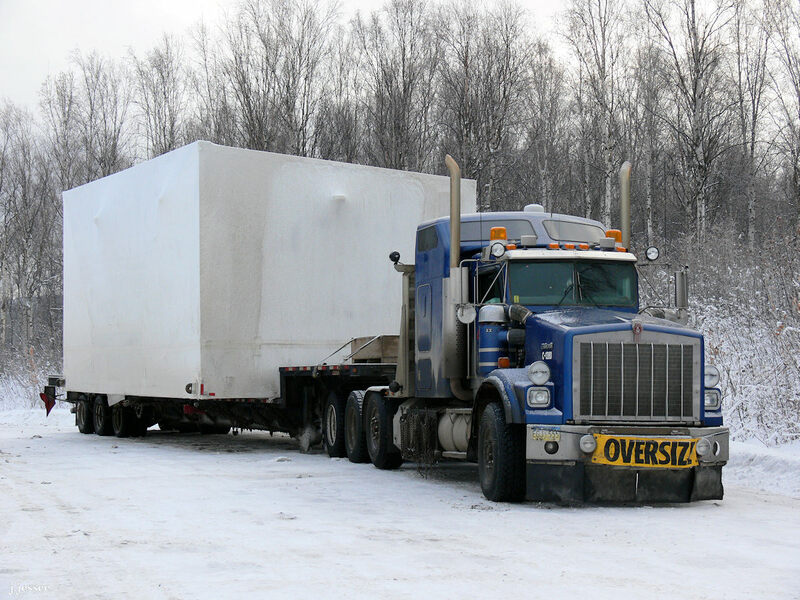 Same load. 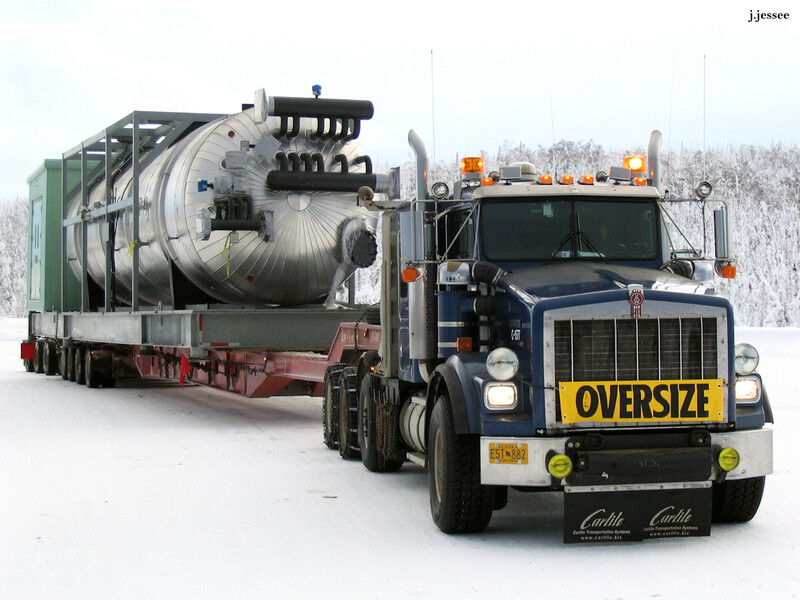 This tank can sit on its end or on its side. 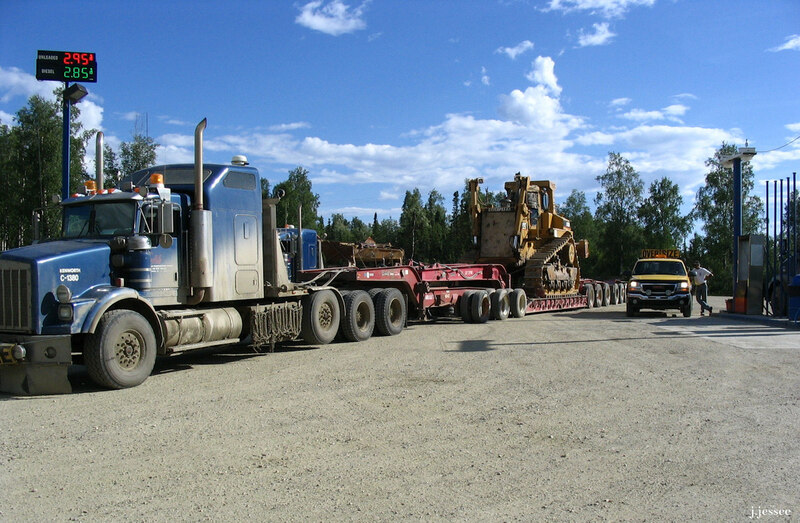 Pushing a big Volvo loader. A mod, not covered with plastic. 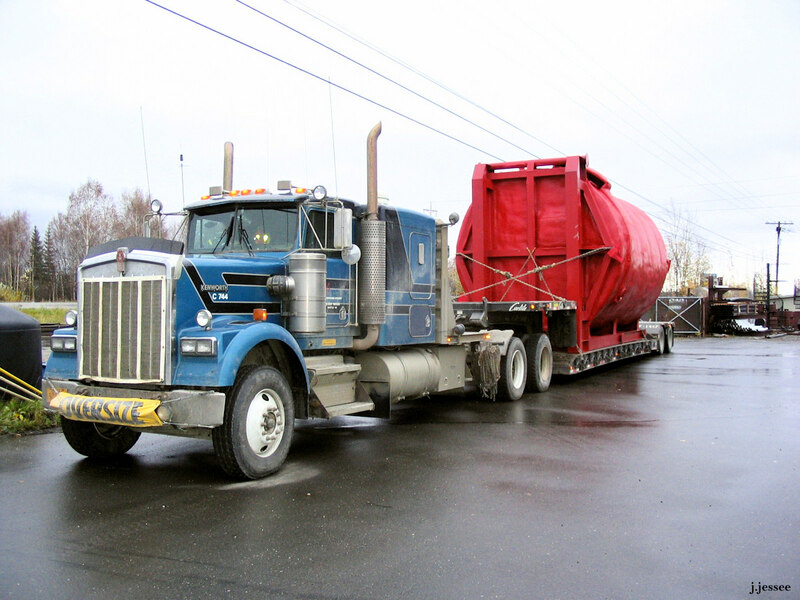 The same mod – Jack is pushing it to Prudhoe. 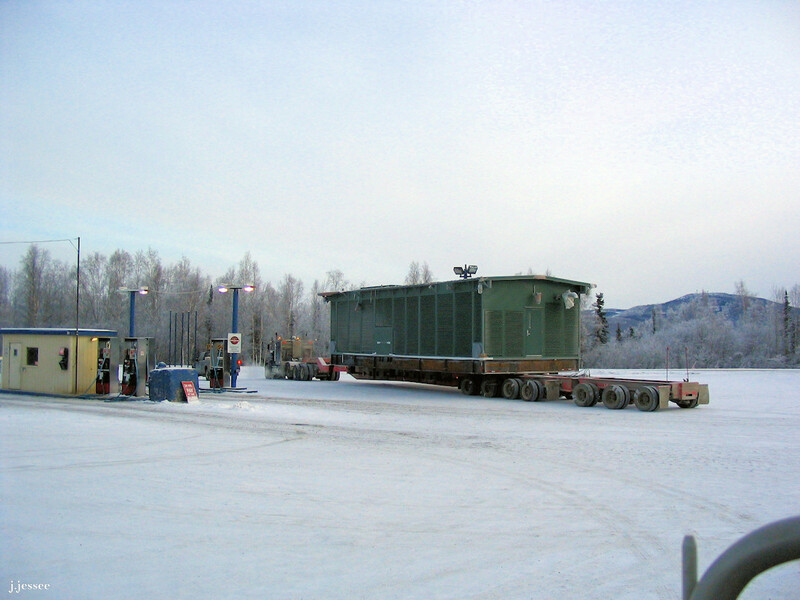 Twelve wide trailer with mod going north. 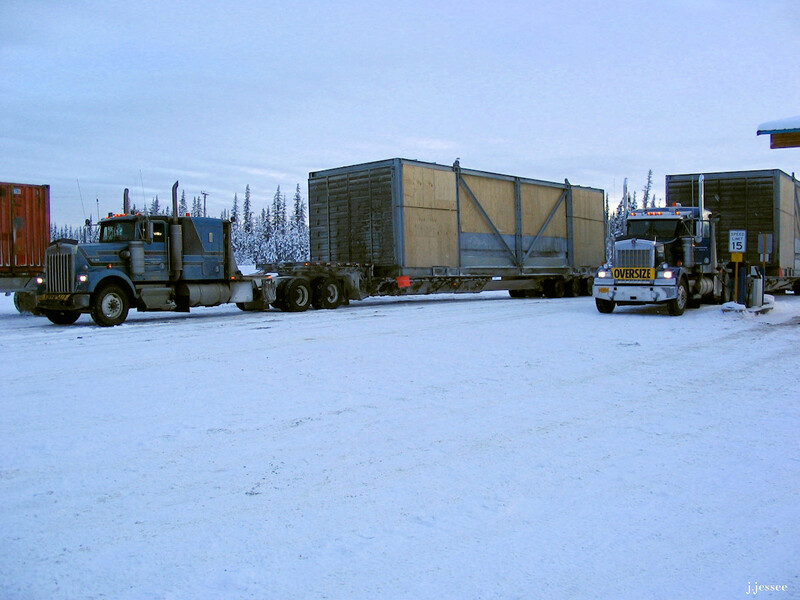 The same trailer (with booster decked up) being pushed back to Fairbanks. 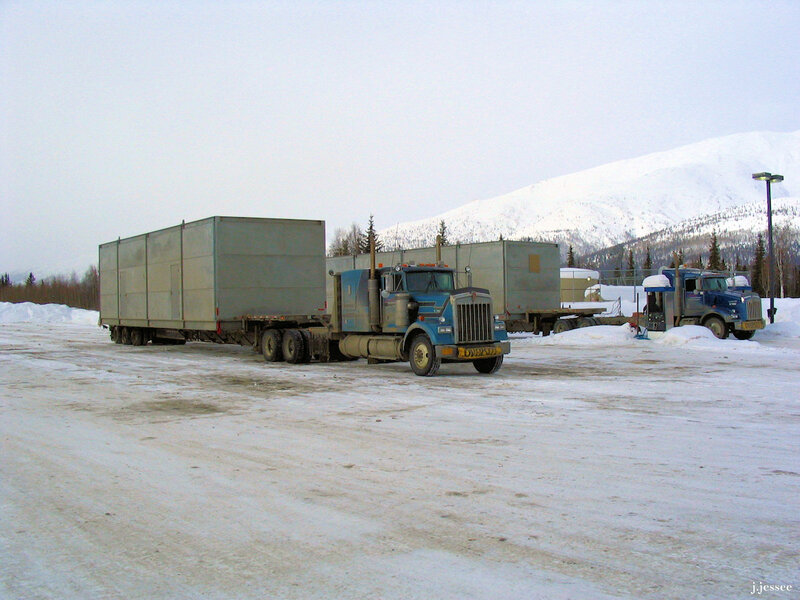 This entry was posted in Trucking and tagged alaska, carlile transportation, dalton highway, drive, Glenallen, greer tank, greer welding, heavy equipment, highway, hilltop, mod, modular, modular units, snow, stryker, summer, tractor, trailer, transportation, truck, truck driving, trucker, trucking, valdez, weight restrictions, winter. Thanks for writing this blog, and posting pictures, Judy! 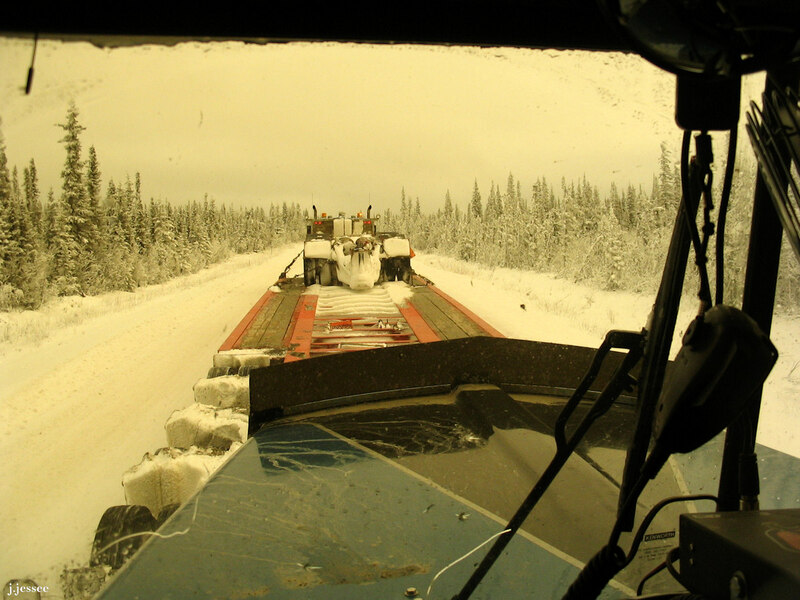 Jack was one of my favorites on “Ice Road Truckers”, and I miss seeing him on the show, so it’s nice to get a glimpse once in a while of what he’s been doing! You’re so welcome and thanks to everyone who leaves us comments. We don’t manage to reply to everything but we read and appreciate every one of them.